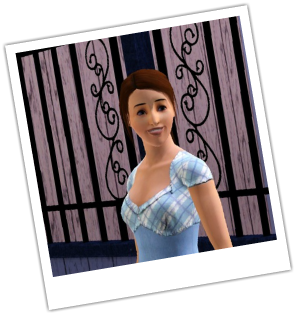 Ann is the owner of Primrose High Manor. She currently resides in the big mansion on the property of PRH. Previously she lived in Gibbs Valley/Queenstown, but when they grew out of space she decided to move to a more spacious residency. As a child Ann only got to ride when she was on holidays at the North Sea, but when she later became more ambitious she started training several times a week. She had a riding participation on a Connemara called Violetta, but sadly she outgrew her when she became an adult. Around that time, sadly her godmother died of cancer and left her a small fortune. Ann loved her a lot and she is severely missed, as she too was a very passionate rider. In her memory, Ann decided to start her own Equestrian Center. Her first own horse was PRH Loveletter whom she still loves to bits. Over the years the pair of them became very successful and now they are causing sensations at international competitions of all kinds of disciplines, be it Dressage or Cross-Country. With time Ann purchased more and more horses, and decided to not only train and compete with, but also breed German Sport Horses. How could she nit chose these breeds, living in the countrywhere the best warmblooded sport horses have their origin! Cathy is Ann’s best friend. She is a very ambitious and has already won several prizes in dressage competitions.She got her first horse when she was ten, and instantly fell in love with riding. When she was 18 she met Ann who offered her to ride TSS Pretty Girl regularly and at competitions.. Those two are totally in sync with each other and have won nearly evrything there is to win. After High-School she went to college and studied to become at teacher, as this was her parents wish for her. But not long into her studies, she noticed, that being a teacher was not how she had imagined her live to be. Living in Bridgeport she missed her friends from the countryside and especially her favorite horse, Pretty Girl, which she had to leave behind with Ann. Soon determination replaced her sadness, and she decided to break off her studies and go back to the Countryside. When she arrived she got Pretty as a welcome home gift and was ecstatic. Now, instead of children, Cathy teaches horses. She’s currently a trainer at PRH. She loves working with the horses, especially when it's dressage training, but now and again, she and Pretty will go out and take a ride across the cross-country course, that is expands over the property of PRH’ property. In her free time she loves to paint.